A variation on a classic. 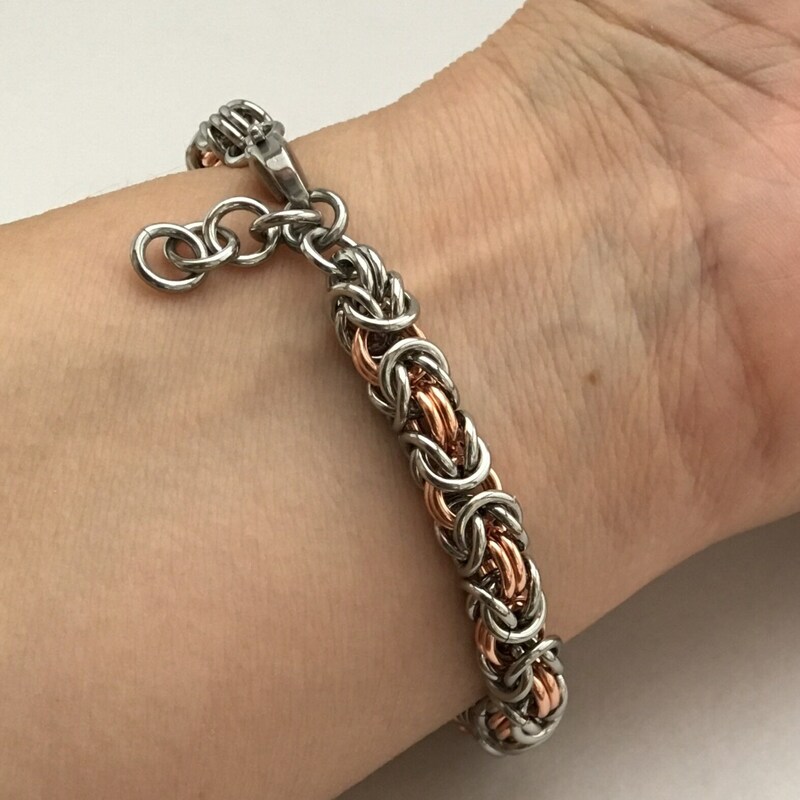 I switched out some of the Stainless Steel with 100% Copper to highlight the Byzantine pattern. 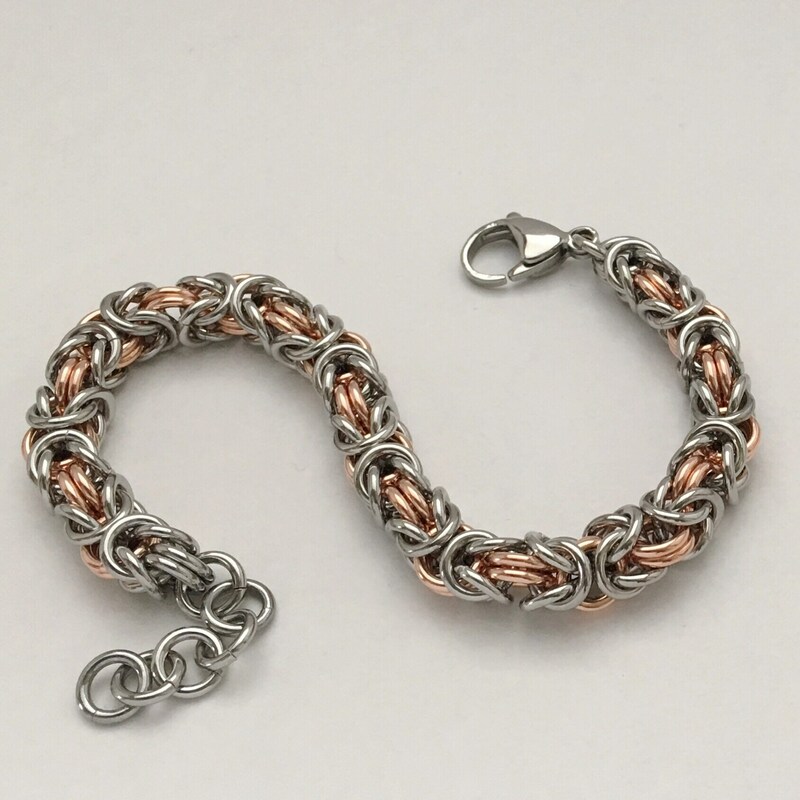 Byzantine weave is the perfect everyday chainmaille pattern: intriguingly complex but not fussy, and suitable for every outfit and everybody. 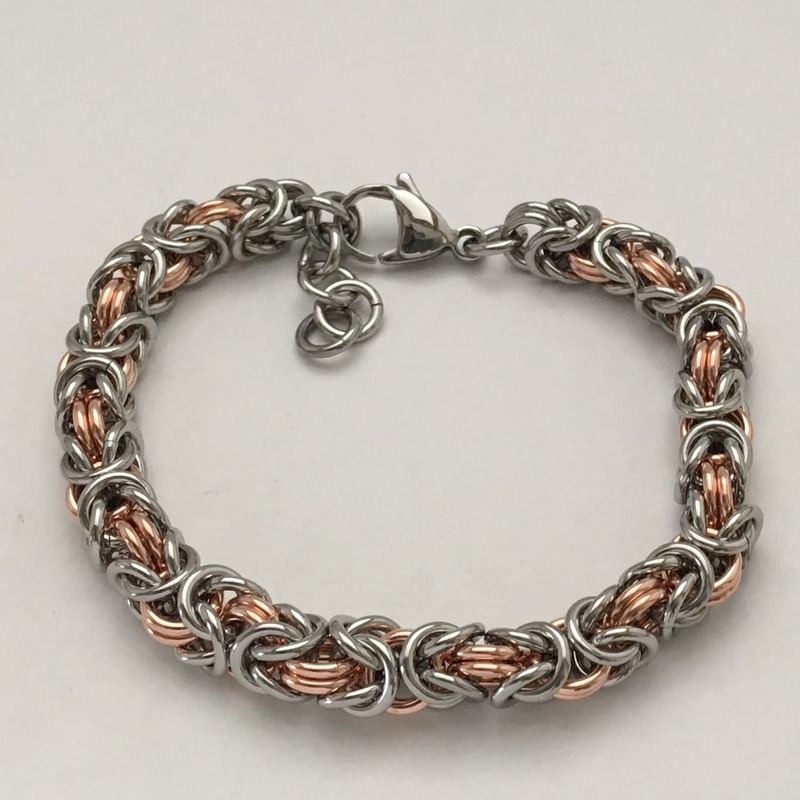 The bracelet is made of medium weight stainless steel and copper (1.2 mm) and is approx 1/4” in diameter. 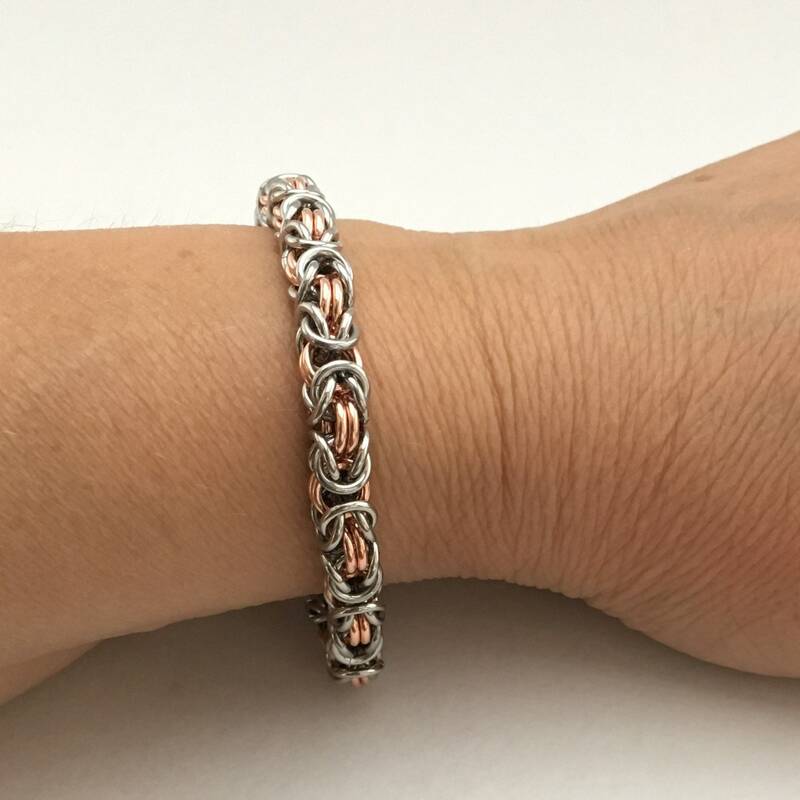 The clasp is a sturdy 15 mm stainless steel lobster claw. I include one inch of extension chain in addition to the stated length so you have flexibility in fit. 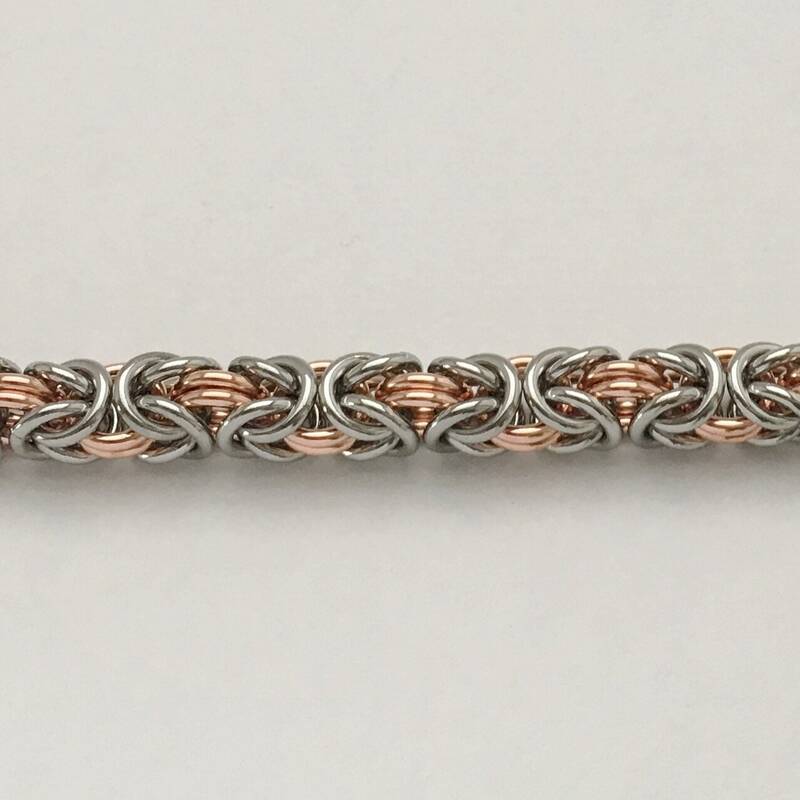 I size my bracelets on a bracelet mandrel so they fit true to the stated size. Measure your wrist with a tape measure and add the amount of slack you prefer - usually 1/2 to 1 inch. So for a 7 inch wrist order 7.5 or 8 inches.